I’ve been using XAMPP for a long time, ever since I got into web programming. But the software seems to be taking a lot of time just to load a local WordPress installation. Is this due to an update? I’ve been hearing about WAMP for just as long as I’ve been using XAMPP. I was reluctant to try it because I’m used to using XAMPP and I thought that WAMP was for another OS, boy was I wrong. Turns out it was intended solely for Windows. I’m glad that I DID try it as I found it to be faster than XAMPP. 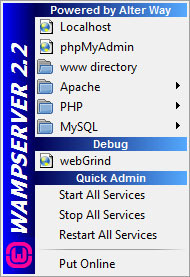 WAMP or Wampserver is free just like XAMPP. It’s Faster… at least on my tests, it is. Pages load instantaneously, as it should be. Folder structure looks simpler. WAMP’s www folder has no clutter unlike XAMPP’s htdocs. 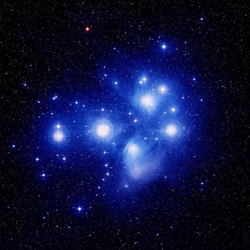 Ability to use different versions of included software like Apache, PHP and MySQL. If you ever need to test the difference between PHP 5.3 and 5.4, you can simply toggle a version on or off. Has SQLBuddy. A good way to manage your database if you don’t like phpMyAdmin. Has intuitive shortcuts on the tray menu. One thing I would like to see is for WAMP to get updated more frequently. I might still have a use for XAMPP in the future though that may be just for special cases. With WampServer 2.5, starting WAMP to loading a test site just became a lot faster.